Get a free spray foam insulation quote today and start saving up to 45% on your energy bills! Is the structure finished or unfinished? If wall, ceiling or flooring, what is the framing? Once we receive your information you can expect a call within 15 minutes or less during regular business hours. Once we contact you, more detailed information will be gathered if needed. Then we can move forward with scheduling to have one of our consultants come out and meet with you. From there you can expect your estimate back in less than 24 hours depending on the complexity of your project. Get the most out of your Insulation. 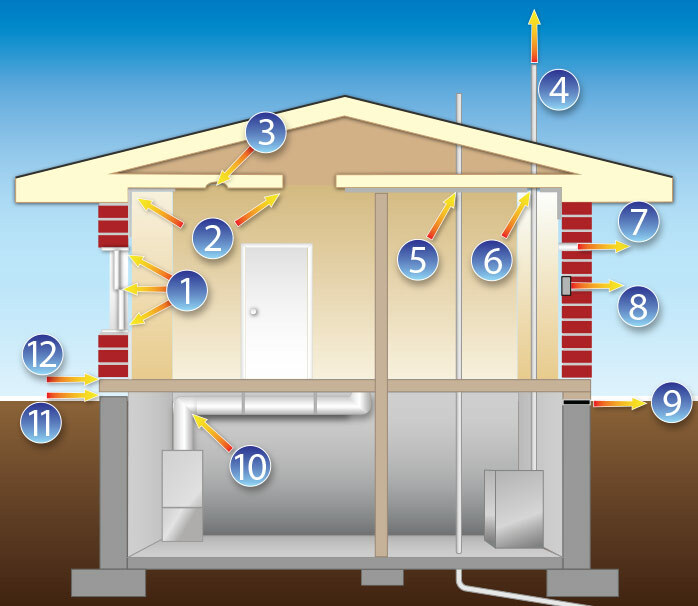 Address your air leaks. Installing insulation of any type will save you money, but beyond R-13, it delivers minimal and decreasing returns on your investment. To get the maximum from insulation you need an air barrier to stop up your air leaks. Having done this, you can expect a 40% increase in efficiency. This is one of the main benefits of Spray Foam Insulation, it fills voids, creating a very effective air barrier. Foam offers the lowest thermal conductivity of any commercial roof insulation product. The high strength-to-weigh ratio of foam makes for an ideal product for roofing and re-roofing. The spray-applied seamless blanket of insulation seals cracks and holes while insulating the roof deck. No special adhesives or mechanical fasteners are required. Spray-applied polyurethane foam is self-flashing around stacks, vents, ducts, etc. By insulating the roof deck, damage due to thermal expansion and contraction is eliminated. It's easy to find out. You can request online or by calling us.